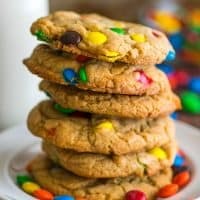 These Small-batch M&M cookies are packed full of M&Ms and come out chewy at the centers, a little crunchy around the edges and pretty darn perfect. I have more cookies for you today! Really good Small-batch M&M Cookies! Did I mention they’re really good? 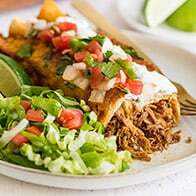 After nearly two years of running a food blog, I’ve gotten pretty good at not gorging myself on the food I make for the site. 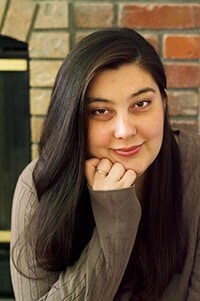 One of my best tricks is just freezing leftovers immediately after shooting them. 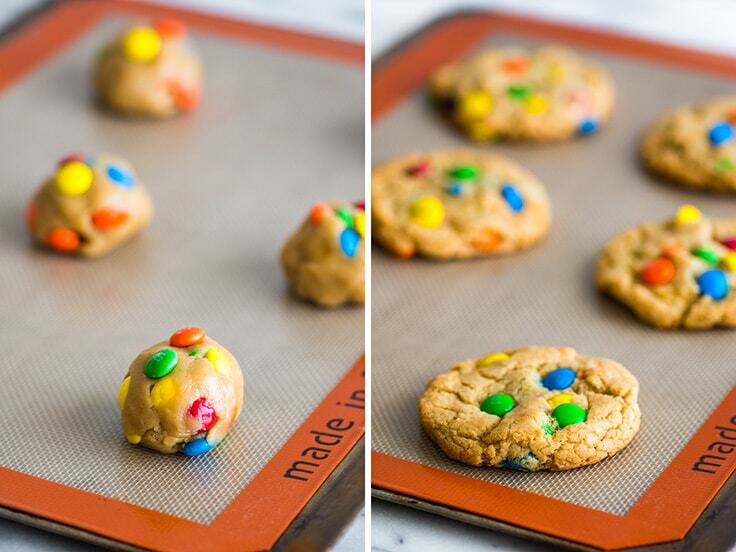 I TRIED that with these M&M Cookies. They went straight into the freezer after I finished taking photos. 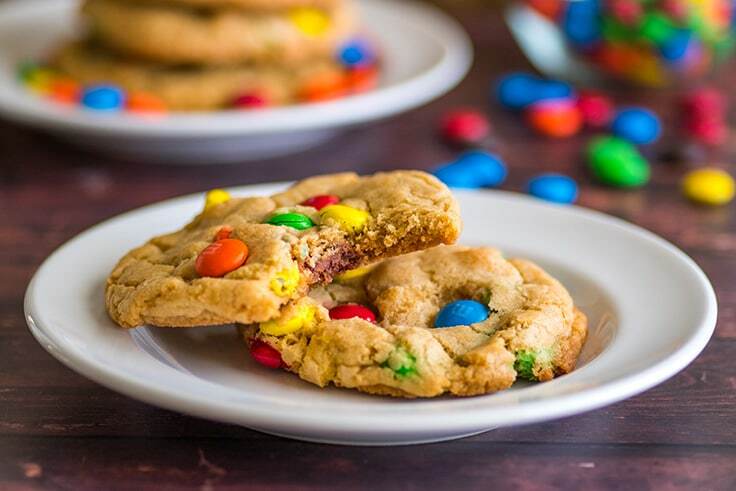 If you love M&Ms, you’re going to love these cookies, because they are PACKED with them, so you definitely feel like you get your money’s worth in the M&M department. 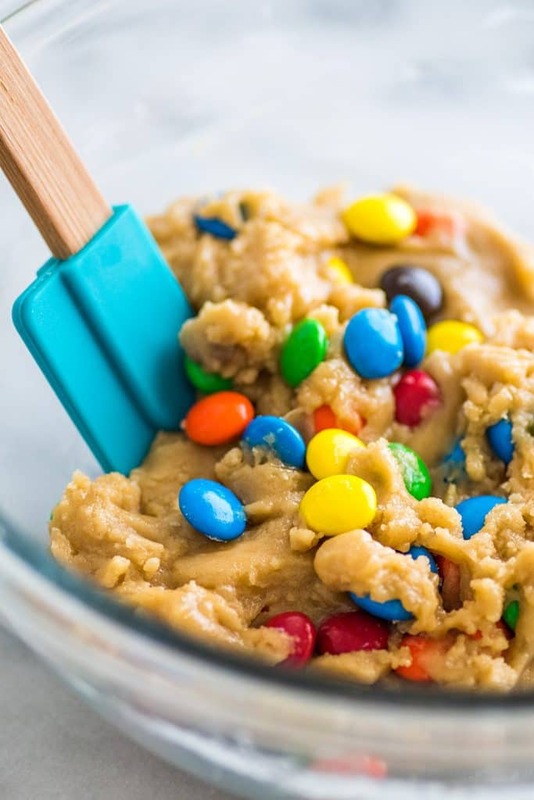 And the cookie base is the same as in my favorite Small-batch Chocolate Chip Cookies, so these M&M cookies come out chewy at the centers, a little crunchy around the edges and pretty darn perfect. 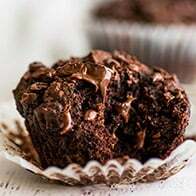 The recipe uses melted butter in the batter, so you don’t have to plan ahead and soften any butter, and the dough doesn’t need to be chilled. 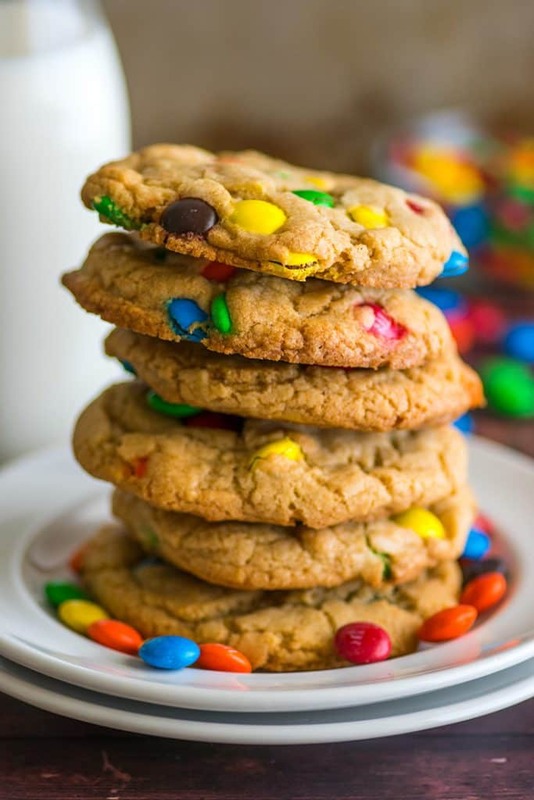 That means that if you have M&Ms handy, you can make these cookies from start to finish in about twenty minutes. Dangerous? Yes. The best? Also yes. Looking for more small-batch desserts? Try these Small-batch Peanut Butter Cookies, Oreo Cheesecake Bites, and Cinnamon Rolls for Two. These Small-batch M&M cookies are packed full of M&Ms, and come out chewy at the centers, a little crunchy around the edges and pretty darn perfect. Preheat oven to 350°F and line a baking sheet with parchment paper or a silicone baking mat. In a small bowl, whisk together (properly measured) flour, baking soda, and salt. In a medium bowl, whisk together cooled butter, brown sugar, and granulated sugar until well-combined. Add vanilla and egg yolk and whisk until smooth. Stir in flour mixture until just combined. Fold in M&Ms. 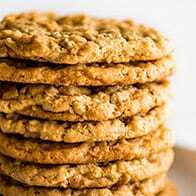 Drop six rounded spoonfuls onto your prepared baking sheet (for perfectly round cookies, roll into balls) and bake for 9 to 12 minutes, until cookies look set. 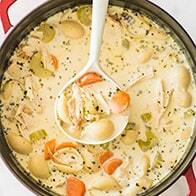 Allow to cool on the baking sheet and enjoy!